MDM are reaching out to partner with artists of the future to become MDM Junior Ambassadors. Our Junior Ambassadors should be imbued with similar qualities to our MDM Muse, Juliet Doherty. Juliet Doherty and what she brings. Juliet’s passion, creativity and intellect align beautifully with MDM. Her artistry and technique are beyond question, yet MDM also value Juliet for the leadership qualities she demonstrates. Juliet posesses a courage and determination that has seen her forge a unique career path on her own terms; be at the cutting edge when it comes to food choices she makes to fuel her career that also demonstrate a profound social awareness, and of course she insists on wearing MDM, the world’s most advanced foot wear for dance. If you’re already familiar with MDM then you'll know we promote the art of dance first and foremost; dance that is thoughful and emotionally engaged. You’ll also know that the MDM range has been specifically designed to be understood as ‘dance equipment’ and that we take pride in promoting safe dance practice via the unique injury prevention technologies in the MDM range. These qualities are a key feature of all our promotion and social media posts, and we’re seeking MDM Junior Ambassadors who feel they can too support these beliefs and inspire others, just like Juliet. 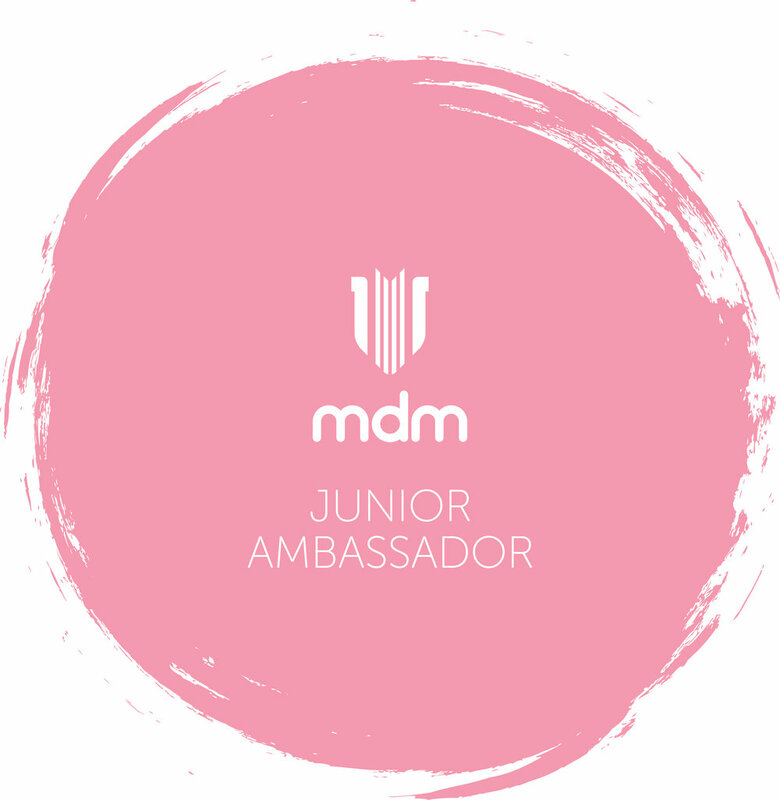 If you have a passion for dance, courage to forge your own path, be a leader in your dance community and the desire to be at the cutting edge of that which is new and improved, you could be one of our MDM Junior Ambassadors. Please send a short video between 20-30 seconds that introduces yourself, your studio along with pictures or video of yourself in class either on the barre or centre and tell us why you believe you’d make a great MDM Junior Ambassador. Juliet Doherty will be assisting in the selection process! Our MDM Junior Ambassadors will enjoy a special gift pack from MDM, may have an opportunity to participate in photoshoots for MDM, feature on our Social pages and gain early access to our product launches and more. Please send your application (including your video and social media handles) to us at juniorambassador@mdmdance.com no later than Friday October 19th ! Good luck and we look forward to seeing your applications and hopefully bringing you into our MDM dance family!